Now that you’ve made all of the big decisions reflecting where to attend college and what you’ll be studying, it’s time to get ready for the big move. As quickly as college semesters seem to fly by, the weeks leading up to moving day come even faster! If you’re a college student, or parent of one, preparing to pack up and relocate a semester’s worth of books and boxes, follow along as Forest Properties shares a few moving tips for students. How large is my closet? How many dressers can I store clothing in? Can I utilize under-the-bed storage? Most dorms consist of 2-3 roommates, so keep in mind that space will be tight and valuable. If you’re moving out of a dorm, remember that nothing can be left behind. Consider donating unwanted items to your local Salvation Army or community center. The moving process can be a stressful one, but we highly recommend establishing an organized step-by-step moving timeline leading up to the big day. Take an afternoon to organize all of your belongings into two categories: what you will be bringing and what will be staying. A Helpful Tip: Get a helping hand with moving – right on your smartphone. Download one (or all!) of our recommended moving apps to help you organized and productive. Moving Checklist Pro is our all-time favorite. Whether you’re preparing to pack for the start of a new semester or are wrapping up another year at university, have a plan of exactly where your items will be going. If you’re moving back home, make sure your living space is prepped and ready. In fact, take a refreshing look through our spring cleaning checklist for some inspiration! If you’re moving into a college dorm, it’s a good idea to know where your building and assigned room is located beforehand. This will help alleviate confusion, lessen trips up and down stairs, and maintain organization on the day of. Keep our apartment moving checklist handy to stay organized before, during, and even after your move! What’s your moving budget, if any? What type of items are being relocated? A Moving Tip: If there’s one thing residents of the Boston-metro area can all agree on, it’s avoiding rush hour traffic! Keep this in mind if you have a specific “moving timeframe” to get your things in and. Often times, colleges assign time slots for students to move in and out of their building. If living off campus is an option for you, take some time to explore nearby apartment buildings. 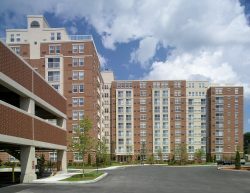 Forest Properties maintains five apartment buildings in the Boston-Metro area for undergrad and graduate students to call home. 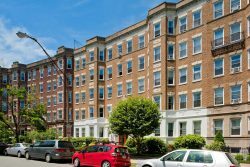 One of the most popular buildings is The Parkside, which pairs convenience with historic charm in downtown Boston. Another favorite is Barclay on Beacon. This building boats wonderful views of the Boston skyline, private balconies, and a beautiful rooftop pool. 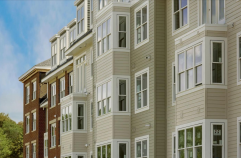 A Tip for Recent Grads: If you’re looking to have a place of your own after graduation, Forest Properties has a variety of apartment buildings in the Massachusetts and New Hampshire areas! Are you preparing to move back home after graduation, or perhaps searching for your first apartment? Share your moving tips with us on Facebook!